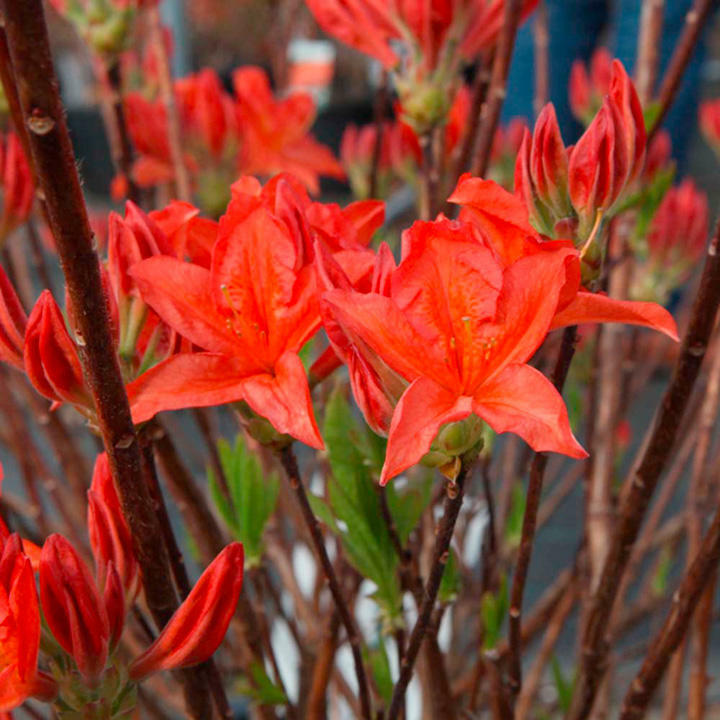 Rhododendron 'Koningin Emma' also known by its translated English synonym Rhododendron 'Queen Emma' belongs to the Ericaceae family and has deep salmon-orange coloured flowers in May. 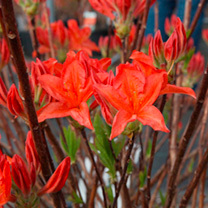 This medium-sized shrub would grow up to about 100cm and prefers acidic soils. And it can withstand temperatures as low as -20ºC. As it is not too demanding, it’s great for public spaces and will be a great addition to a woodland garden. Supplied in a 4 litre pot. Dappled shade and shelterd from strong and icy winds. Fertile, free draining acid soil. Ideal for beds and borders, patio pots and containers. Prefers partial shade.